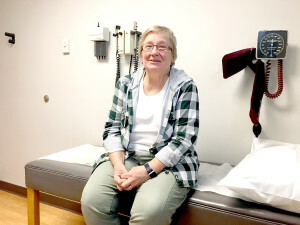 It’s been more than three decades since Dr. Linda Loewenstein first came to Ortonville. Loewenstein’s diligence, professionalism and fondness for the community prevailed—ultimately providing thousands of area residents with quality and caring health care. In December after more than 30 years of practice, Loewenstein retired from McLaren Oakland-Ortonville Family & Internal Medicine. A Lansing native and Lansing Catholic Central class of 1972 graduate, the road to Loewenstein’s long stellar career as a physician took some unique roads. Loewenstein’s stint at the Lansing area apple business corrected her life direction. Loewenstein eventually went back and earned her high school diploma through home study. She moved on to nearby Lansing Community College. Lowenstein paid her way through Lansing Community College and eventually completed a degree in Microbiology at Michigan State University. She was admitted to the College of Osteopathic Medicine at Michigan State University in 1982. She graduated in 1985. In 1987, Loewenstein purchased long time Ortonville physician Dr. Paul Schoen’s medical practice. 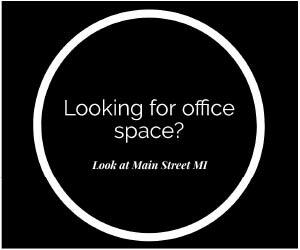 The office was located on Mill Street (next door to the Mill Street Market). Dr. Schoen, who died in 2008 had opened his local practice in 1955. Three decades later Loewenstein reflected on her years of family medicine. There’s two sides to the information age, she added. Loewenstein said the explosion of medicines over the years to treat diabetes represents one of the most dramatic changes she’s witnessed. When Loewenstein started she would diagnose diabetes maybe three to four time per year. Prevention is key, she added. Loewenstein learned from her patients. Loewenstein plans on traveling, taking classes and work on several special causes during her retirement.